Create a festival strategy for your film and feel confident about it. Which festivals are right for your film? 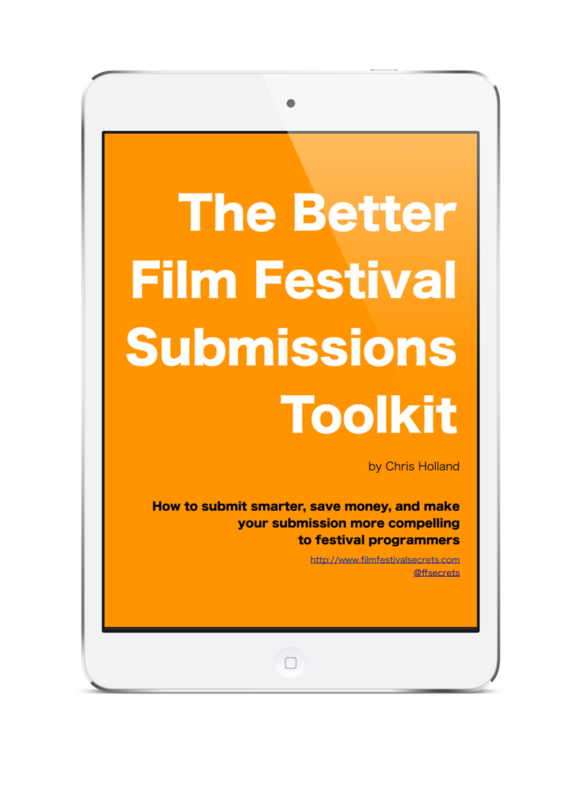 Is your film ready for the festival circuit? You don't have to guess. Film Festival Secrets is a filmmaker's roadmap to the festival circuit. Get the first 2 chapters free. Save money on submissions fees, find your audience, take the next step in your career as a filmmaker. Sign up above. Film Festival Secrets is the place to learn what film festivals have to offer and how to best take advantage of them. Feel free to poke around the resources here or check out this collection of articles for first time visitors. I have helped hundreds of filmmakers like you find a place for their films on the festival circuit. My name is Chris Holland and in 2005 I found myself volunteering full time at the Austin Film Festival. (My wife is a very understanding person.) As I listened to the film programmers answer the same questions from filmmakers over and over again, I thought to myself: "Someone should write all of this down and put it in a book." So I did. Since then I've worked with distributors, film tech companies, film funding companies, film support non-profits, and dozens of film festivals. My favorite work, however, is the consulting I do with filmmakers who want to make sense of the film festival circuit.